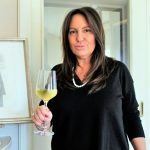 From cinema to wine: what an exciting story! 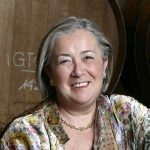 In my opinion, very briefly defines the saga of Rocca delle Macìe, the Chianti Classico winery belonging to the Roman family Zingarelli. 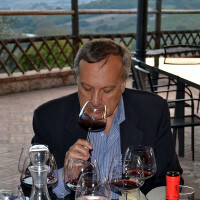 It’s been more than 40 years (1973) since Italo Zingarelli bought Rocca delle Macìe at Castellina in Chianti, near Siena. He was producer of some important movies got famous in cinema history, such as “spaghetti western” genre performed by unforgettable Bud Spencer and Terence Hill. In 70s, Italo crowned his dream of creating a holding in the heart of Chianti Classico. 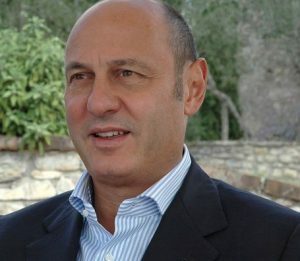 After Rocca delle Macie buying, Italo also bought Sant’Alfonso estate, from which the wine I chose here as Top was born. 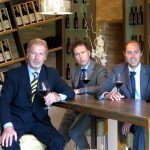 In 1985, Italo’s son, Sergio, who is current owner (and also is the president of Chianti Classico Consortium), joined the company. 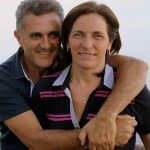 Since then, Sergio, in collaboration with his sister Sandra, has been working on the development of the family business to win all over italian and world markets. 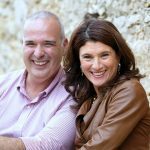 With him, today, work his wife, Daniela, and her sons Giulia and Andrea: the new generations of Zingarellis. 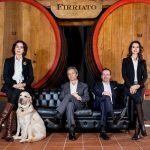 Today the company has about 600 hectares: more than 190 of vineyards and about 80 olive trees, covers six estates: Le Macìe, Sant’Alfonso, Riserva di Fizzano and Tavolelle in Chianti Classico area; Campomaccione and Casamaria in Maremma in Morellino di ​​Scansano DOC. 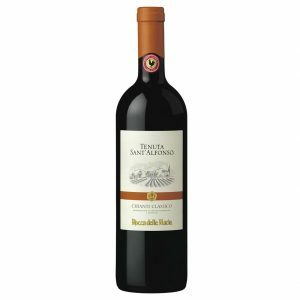 But now I would talk about the best and most important wine of Tenuta Sant’Alfonso (33 hectares vineyards cultivated in Sangiovese, Colorino, Merlot and Cabernet Sauvignon). In this case, with no doubt, I can say that Sangiovese is the protagonist of a great Oscar movie called “Chianti Classico”. A real company Cru, from Sangiovese 100%. The other great company Cru is Riserva di Fizzano, a Chianti Classico equally good. 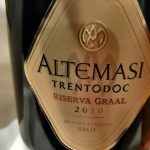 This wine is a confirmation of how the Chianti Classico can produce different results depending on the soil in which Sangiovese grape is cultivated. It shows that from rich soils of clay and poor in skeleton, we get a greater concentration of aromas and polyphenols in wine. Tasting Note. 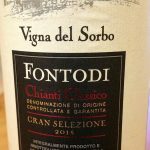 Tenuta Sant’Alfonso Chianti Classico DOCG 2014. My smell sensations suggest black pepper, pink pepper, rosemary, juniper, mediterranean notes, great balsamic intensity, with licorice in background and then coffee roasting. The sip is intense, concentrated, pulpy, caloric, with lively and well-polished tannins. When you drink it, can appreciate persistence and feisty. It seems almost an “eat and drink” in the glass, with great satisfaction for the palate. A wine that speaks and, in fact, is such as twists and turns movie: nothing more than “silent film”!